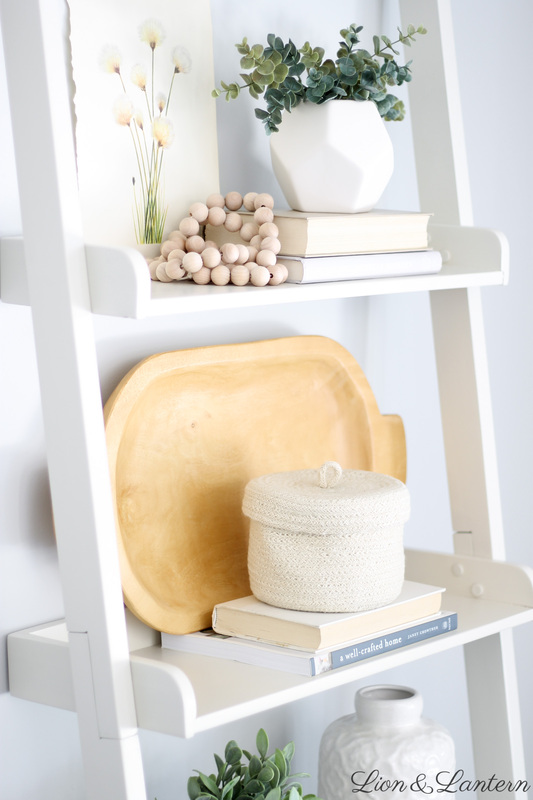 Warm woods, geometric shapes, textured baskets and greenery create a modern boho feel for our fall shelf styling in the living room. 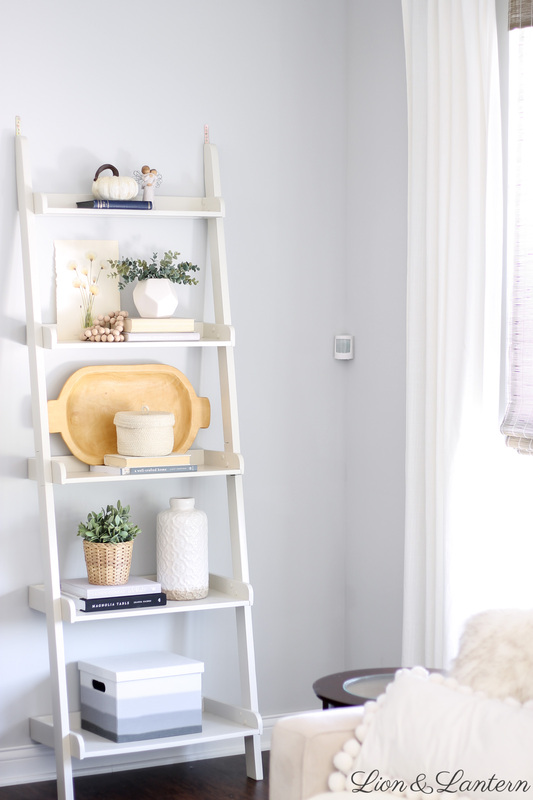 Last week I shared our fall kitchen, and today I’m sharing a peek into the living room–our fall shelf styling! Lately I’ve felt inspired by modern boho design and am experimenting with it in our home. * The fun part is trying not to spend too much; rather, I’m working with what I have and adding just a few new pieces to achieve a different look. Below is my thought process, and of course, plenty of photos! 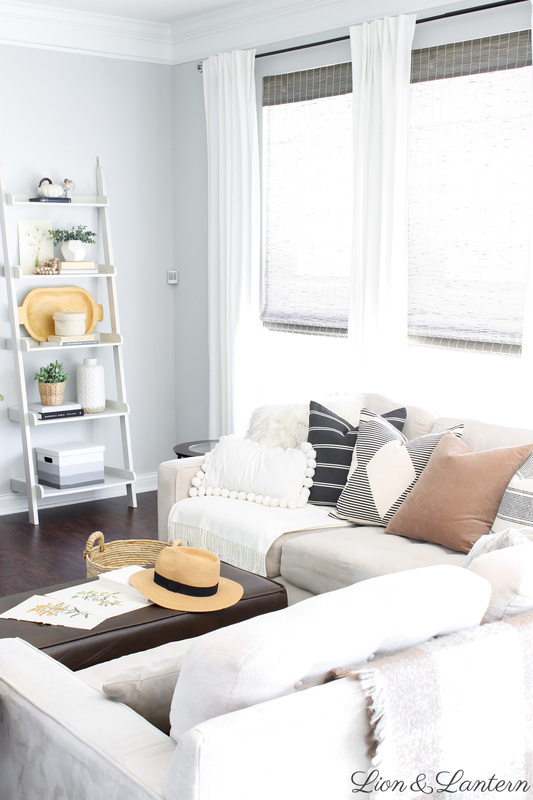 *For comparison, you can see last year’s fall living room here, and fall shelf decor here. 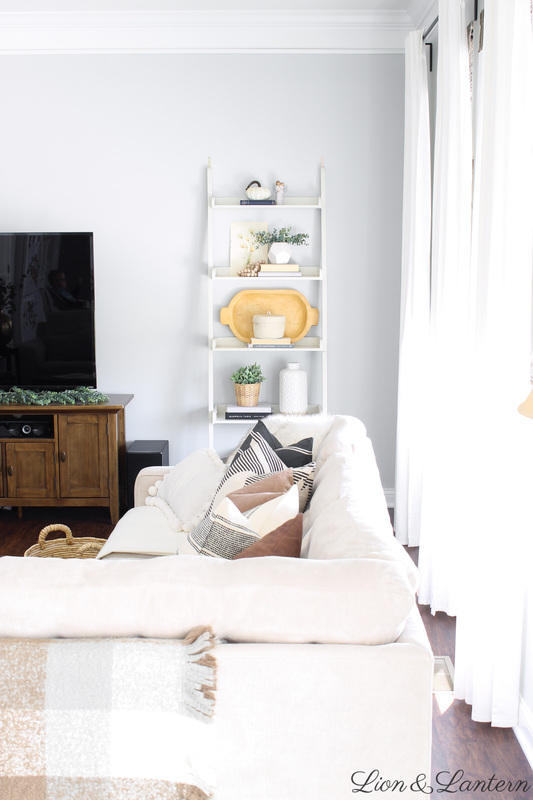 I’ll be sharing our fall living room tour for 2018 soon! 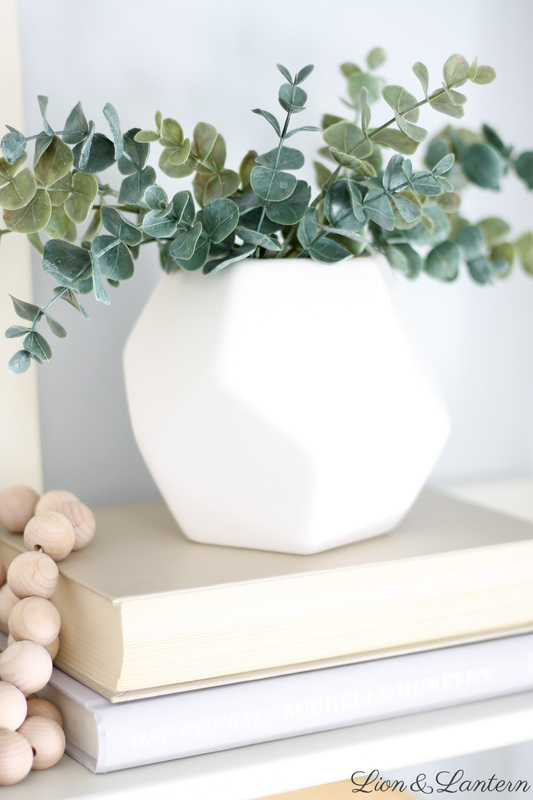 I purchased three new pieces: the white geometric vase, the wood dough bowl, and the lidded basket (you can shop the look at the bottom of this post!). They all add to the boho feel of the space, but work for other styles and seasons too. 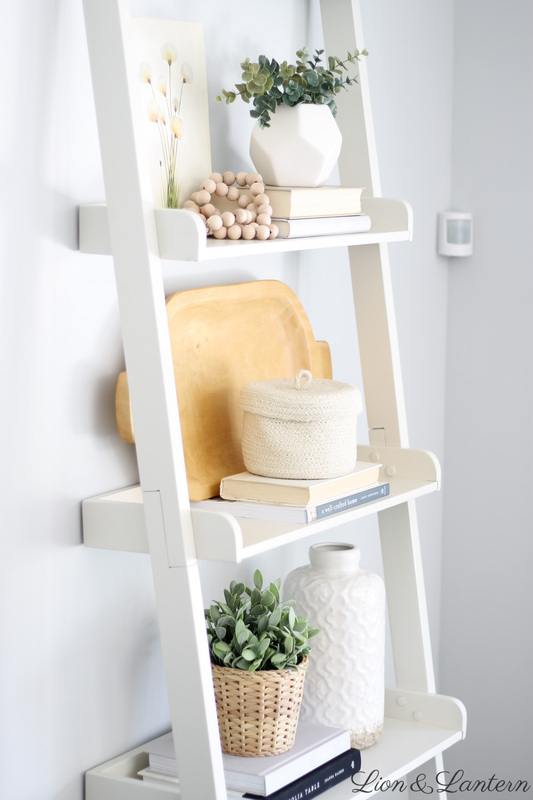 I have so much fun rearranging the decor on our ladder shelf as the seasons change (you can see winter here and summer here!). A few weeks ago I began putting away our summery blue accents and playing around with things to create a new look. 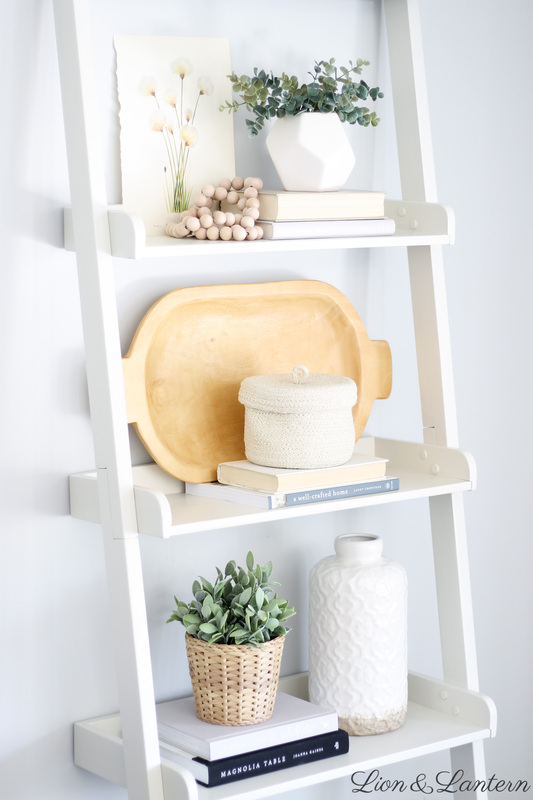 I leaned the dough bowl against the wall to fill out the middle shelf, and tried to visually balance out the other elements (plants, white vases, books). 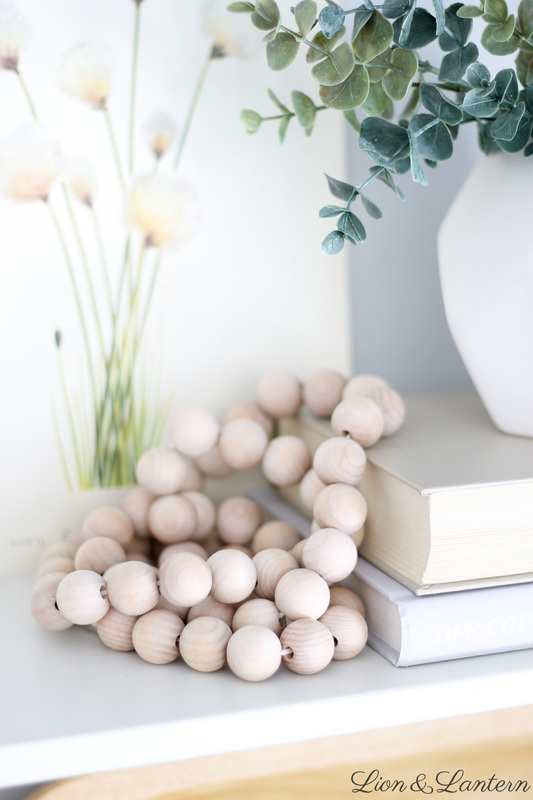 This DIY wood bead garland was one of my first blog posts last year. It was such a fun little project to do with Bug who was two at the time; he loved threading and counting the beads! Here’s my new little geometric vase from Target! Unfortunately my first one arrived broken in the mail, but I loved it so much that I ordered another 🙂 The filler is faux eucalyptus that I already had from last year’s Christmas tree. 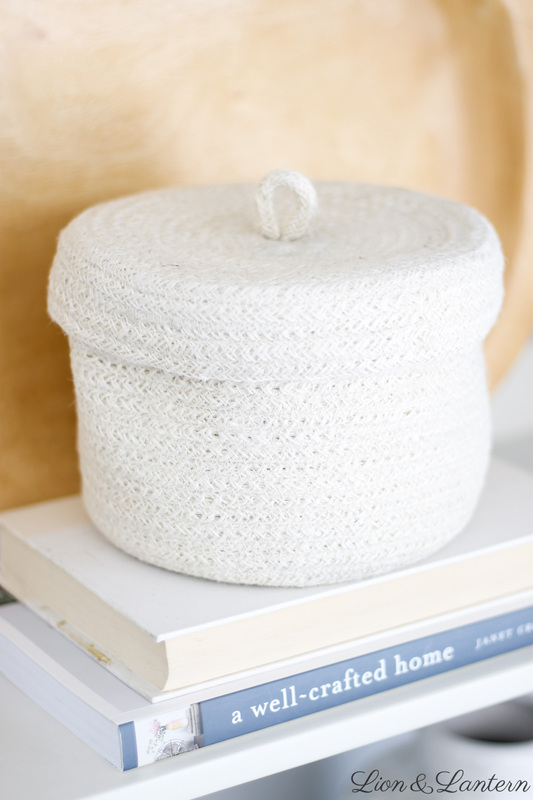 Here are some decor items if you want to shop the look! 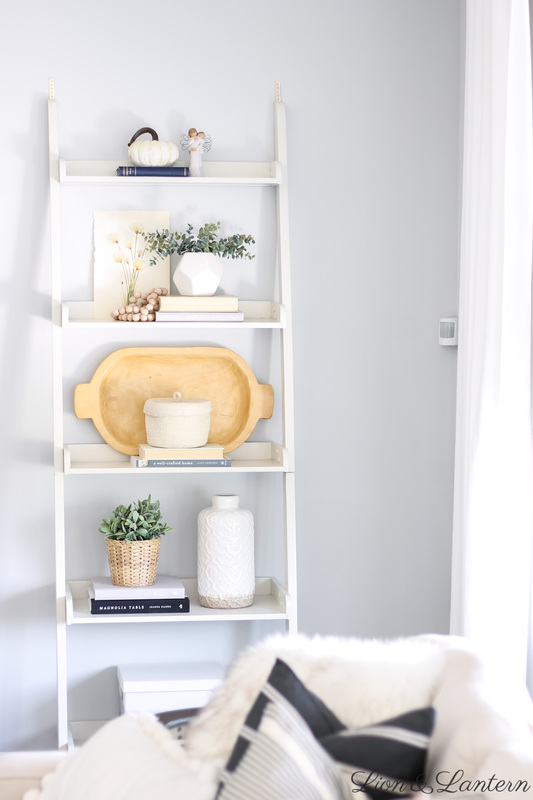 I had so much fun doing the fall shelf styling for our living room. Often it takes me a week or more to figure out the placement of things; I like to experiment, take a break, and see how I feel later. So much of decorating is trial and error, at least for me! I would love to see your fall style or projects, so leave me a comment below! Hope you all have a bright day!